General Availability (GA) Microsoft partners are HP Enterprise, Dell, Lenovo and Cisco. They will al come with a so called Integrated System. The systems include hardware, software, services, and enterprise-grade customer support. The GA-version will be available from Mid-CY17. PaaS: Web Apps, Mobile Apps, and API Apps created using .NET, Java, PHP, or other technologies and Service Fabric1. Compute: Windows and Linux Virtual Machines and VM Extensions for customization. Storage: Blobs storage for unstructured data, Tables, and Queues. Networking: Virtual Networks for isolated networks in the cloud, Load Balancers, and VPN Gateways. Automated deployment: Azure Resource Manager for creating templates to automate deployment. 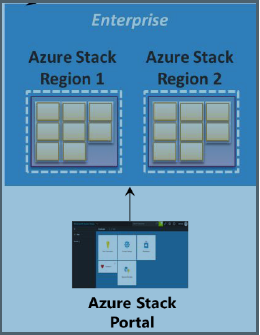 Management: Azure Stack Portal and support via Azure Resource Manager for clients like Visual Studio, PowerShell, and a command-line interface for Linux, Macintosh, and Windows). This entry was posted in Azure, AzureStack, Microsoft, Networking, Powershell, Windows on May 15, 2017 by Kamm_and_Re. If an organization has lots of computers, or if its computers are geographically spread, it’s a good idea to divide its netwerk into smaller ones (subnets) connected by routers. The benefit of using subnets are less traffic (most traffic will stay on the local netwerk) and easier to isolate and identify a network problem. The subnet mask splits an IPv4 address into a network and a host portion. In this table below you can see how you can split your subnets using a subnet mask. This entry was posted in Azure, Networking, Windows, Windows 9, Windows Intune, Windows Phone, Windows Server 2012 and tagged internet, networking, subnet, tcp/ip, technology on June 11, 2013 by Kamm_and_Re.